Laos is a unique country, which has been quietly welcoming tourists for decades now. Luang Prabang was my first stop in the laid-back country of Laos, as arrived after my almost a month-long trip in Vietnam. I arrived from Hanoi to Luang Prabang by flight, and although the journey was just over an hour, the flight price was very expensive compared to flying in other parts of SE Asia. 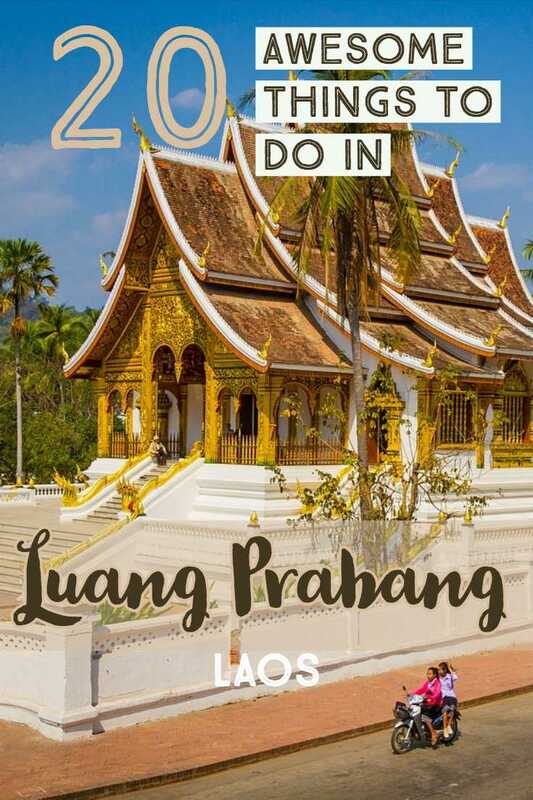 Here is the list of things to do in Luang Prabang, including all the unusual, fun and free things to do in Luang Prabang. 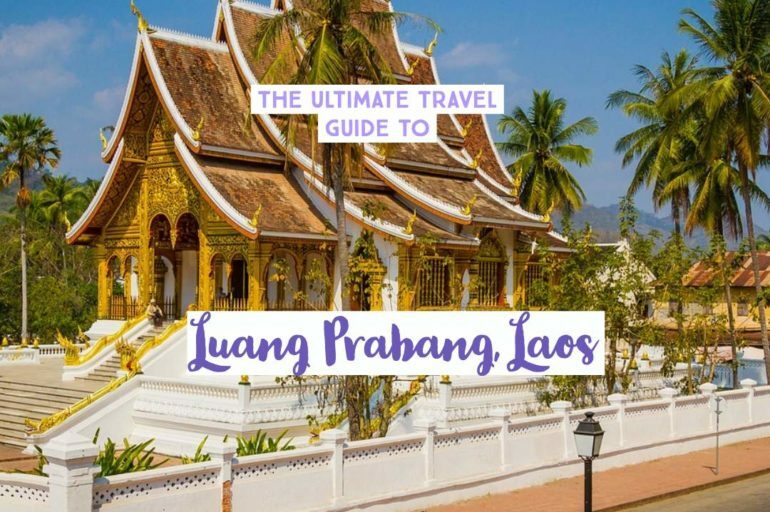 What to do in Luang Prabang? 19 | Learn How To Cook Lao Style! 20 | Bowl The Late Night Away! How many days in Luang Prabang? A little bit about the city before moving on to its attractions. 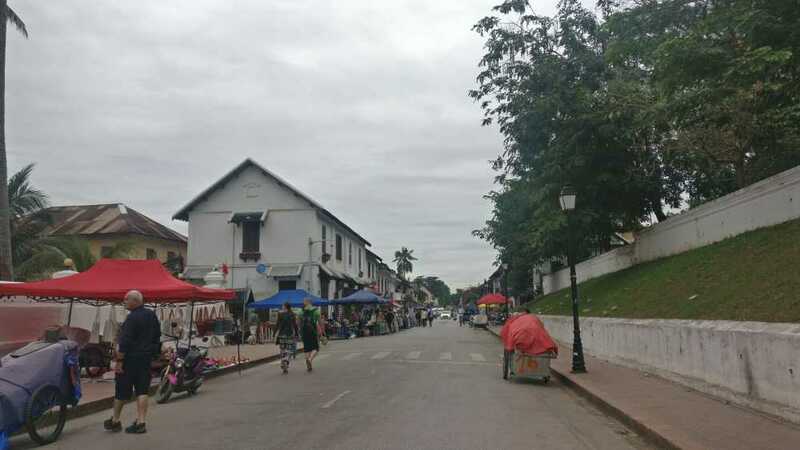 Luang Prabang has its French colonial past even to this day, with the streets adorned with traditional French style buildings. The entire city of Luang Prabang itself is listed among the UNESCO heritage sites owing to its unique Buddhist temples, homes and landscape since 1995. Excellent weather, awesome food, affordable accommodation and beautiful attractions make Luang Prabang the most visited city of Laos. Whether you have just one to two days or wish to spend weeks in this serene town, you have plenty of things to do in Luang Prabang. Located right in the heart of the city, Mount Phousi is the favorite among the tourists and the locals for its stunning views of the city, sunset and sunrise. A small climb of about 300 steps leads you to the top, where there are a temple and viewpoints. You can get a 360-degree view of the picturesque town from there. Located beside the Royal Palace, Wat Mai is another temple known for its architecture, paintings and wall designs. It was the place where Pra Bhang, meaning the Golden Buddha after which the city acquired its name was present. Although the statue is now relocated, it is occasionally brought to Wat Mai during the traditional New Year or festivities. 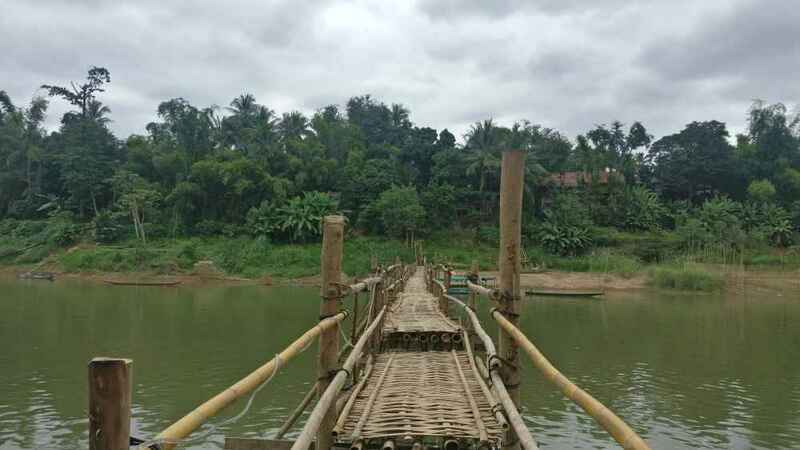 If you are not traveling in Laos during the monsoons, you can find a long Bamboo bridge built across the Nam river to connect two sides of the city, with the other side connecting you to the centre, which is the footpath from Kingkitsarath Road across the river. The locals build it every year for their commute, and as a tourist, you can enjoy the beautiful views of the town and the mountains walking across the bridge. You can also explore the other side by crossing over. The Royal Palace located opposite Mount Phousi is the most remarkable of all the monuments in Luang Prabang. The complex comprises of a fabulous temple, the residence which is currently a museum and official buildings. Getting to know a place is more interesting through museums. Luang Prabang has the Royal Museum located in the premises of Royal Palace Quarters, which walks us through the town’s history, culture and the country’s past along with shedding light on the royalty. A former residence to the royalty of Laos, today it is a treasure house of history. Royal Museum timings: 8 AM to 11:30 AM and 1:30 PM to 4 PM. Closed on Tuesdays. One of the things that I loved the most about Luang Prabang was the vibrant night market. As the sun sets, the shopkeepers start setting up shops on the road, and in no time, the main street bustles with shops selling arts, paintings, souvenirs, local whiskey, traditional clothes, food and more. 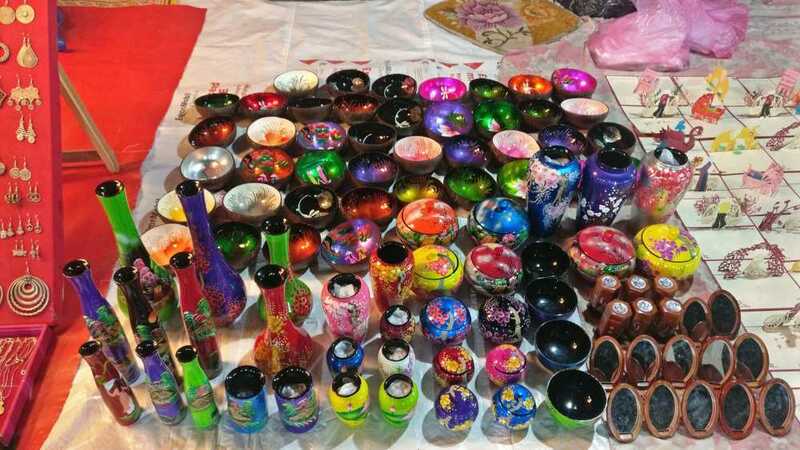 I just love exploring the markets in SE Asia, and this one is wonderful too. Plus, it’s one of the free things to do in Luang Prabang unless you shop! One thing that you can’t miss in Laos are the awesome smoothies sold in small shops across the streets. In Luang Prabang, I really loved these smoothies which I found to better than the ones that in Vietnam or Thailand. Fresh fruits with milk, sweetener (If you don’t mind the calories) and ice is the perfect way to beat the exhaustion from walking around in the hot sun! The coffee in Laos is awesome just like the ones you get in neighbouring Vietnam. So all the coffee lovers can treat themselves to the various types of coffee – from the natural hot one to ice cold ones to egg coffee. This is your place to try all the unique coffee specialities! Luang Prabang is home to gorgeous waterfalls and given its lush mountainous landscape, it’s no surprise. Exploring the waterfalls is one of the many fun things to do in Luang Prabang. You can explore the many waterfalls if you are a water baby looking to swim and chill. If there is only one waterfall that you want to visit in Luang Prabang, then it has to be Kuang Si Waterfall. I just loved how lovely the journey to the waterfall itself was, passing through the mountains locked roads. It is amidst a thick canopy of forests, and you’ll notice that it is almost always crowded. I chose to go on a group tour, and we were escorted to the entrance after a 45-minute ride. 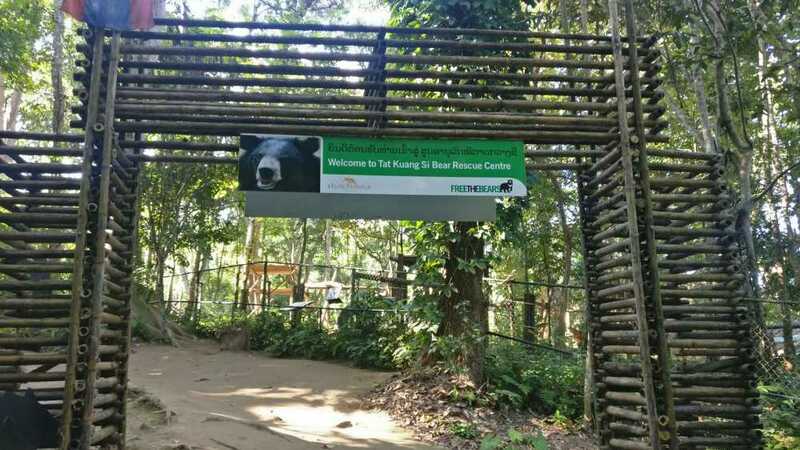 I walked for a while to first encounter the bear conservation centre, where the bears seemed to be comfortably napping in the shade. As you pass ahead, you’ll see the foot of the waterfalls, a portion of which is available for swimming for tourists. Don’t get carried away by the turquoise waterfalls yet, as it’s just the beginning! I went ahead to see the waterfalls forming a good area which was occupied by people wanting to swim and pose for photographs. What fascinated me was the final leg of Kuansi Waterfalls, that looked huge and full. It was an awesome view to behold for sure. You are given about 1 to 2 hours to spend if you go on a guided tour like me. I guess I would have enjoyed more had I opted for a bike trip, like the way I did in Vietnam though. Anyway, keep aside half a day or more for this wonderful waterfall. Bring your swimwear if you want to dive into the waters along with some sunscreen if you are here during summer. 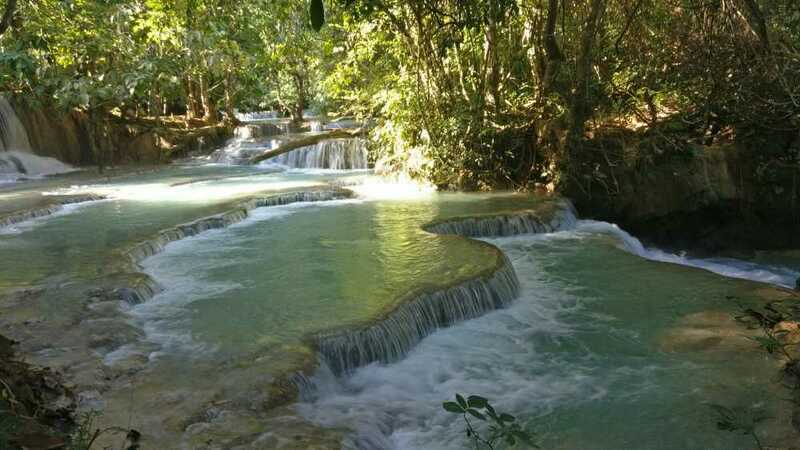 How To Reach Kuang Si Waterfalls: Kuang Si Waterfalls is located about 23km from the town and takes approximately 45 minutes away from Luang Prabang town centre. You can opt for a half day tour, a private or a group tour or you could rent a bike to go on your own. The price for a group tour in vans ranges between 50,000 to 80,000 Kep (I paid 50,000 Kep), whereas a motorbike would cost almost double that depending on how you bargain. Note that there isn’t much difference in prices no matter where you book – but it’s best to book your tour once reaching Luang Prabang. Look for other combinational tours as well. Most people also opt for a boat ride to Kuang Si Waterfalls, which is one of the best things to do in Luang Prabang. A slow boat ride in the river takes you through the countryside flanked by dense forests to finally arrive at Kuang Si Waterfalls. The other waterfall that is recommended is Tad Sae, which is quite popular among the locals specifically. Located 16km from the city centre, it is a popular picnic spot for families and couples as well looking for a swim. Like Kuang Si, Tad Sae is also surrounded by lush green forests and has many turquoise lagoons where you can swim and relax. You can book a group tour in a van or ride a motorbike to go on your own. How to reach Tad Sae Waterfall: Being very close to the town centre, you can pretty much rent a motorbike to reach Tad Sae. Unless you are looking to combine this with other attractions, taking a tour isn’t worth. The Mekong, South East Asia’s largest river that flows through multiple countries is an attraction in itself. And one of the best way to experience the beauty of this river is to take the slow boat ride in Laos. Do you know? There is a Golden Triangle Cruise for 11 days which takes you to the Golden Triangle bordering 3 countries from Luang Prabang. This is an incredible cruise, but not everyone can do/want to do. So the next best option is to opt for the half-day, full-day or the many boat ride options available in Luang Prabang. Note that the locals use these slow boats as their way of traveling from point A to point B. So you can hop on to any of these as well. Whatever the tour is, the bottom line is don’t miss going on a boat. Witnessing the sunrise and sunset on a cruise which is nothing luxurious is one of the must things to do in Luang Prabang! The caves aren’t extraordinary or anything special honestly, but the journey by boat to this cave is what makes it worth in my opinion is the boat ride on the river to the caves. I was surprised that the place has some extremely good reviews but in reality, I didn’t find it anything special. Upon reaching the cave, you’ll find a few Buddhist statues today, and earlier, this place is believed to be a spiritual place for monks. The view of the Mekong looks beautiful from the cave, which I felt is the highlight, rather than the cave itself. If you start early, you can combine with this any other tour like the waterfalls or the village visit (read below). Ban Phanom is a small village at a short distance from Luang Prabang known for its traditional weaving centres. If textiles/garments interests you, this village tour provides a close-up opportunity to witness how the weaving works, which is the prime source of livelihood for the locals practising them. I couldn’t go on this tour but heard that’s it worth visiting to check out the local Whiskeys produced at home in Luang Prabang. The taste varies and the flavours include snake’s and scorpion’s specials, which can be seen in the market too. Well, this is not a day trip option per se, but if you enjoy driving, Laos may be a hit with you. Navigating your motorbikes through roads flanked by dense forests, streams and greenery is soothing. The roads are not in the best conditions, and extra care and caution need to be taken, but the joy of riding amidst spectacular sceneries and no traffic and chaos makes it worth to ride a motorbike. The price is slightly expensive when compared to Vietnam, and you can get a bike for a day for 1,00,000 Kip usually. Cooking is something that I don’t like at all and hence doesn’t list on my agenda. However, I am always up to try new cuisines! According to me, eating is always fun than cooking! On a serious note, all those who love Laon food and want to know how to make on their own, sign up for the cooking classes where locals teach you their best dishes. All things have exceptions, and for Luang Prabang, the exception is a nightlife. All the pubs, restaurants and eateries begin closing down at 11 PM and by 11:30, it is mandatory to end the night for everyone. This means that the parties end before they even begin, when in Luang Prabang. But wait, there is an exception to this too. You can head a little further away from the town to a bowling centre, which remains open late night, making it the hangout spot for people! I only came to know one night when I asked all my roommates who came in really late. I was curious where they were partying when everything closes, and this is what I got to know! So unlike me, you know where to have fun at night in Luang Prabang. 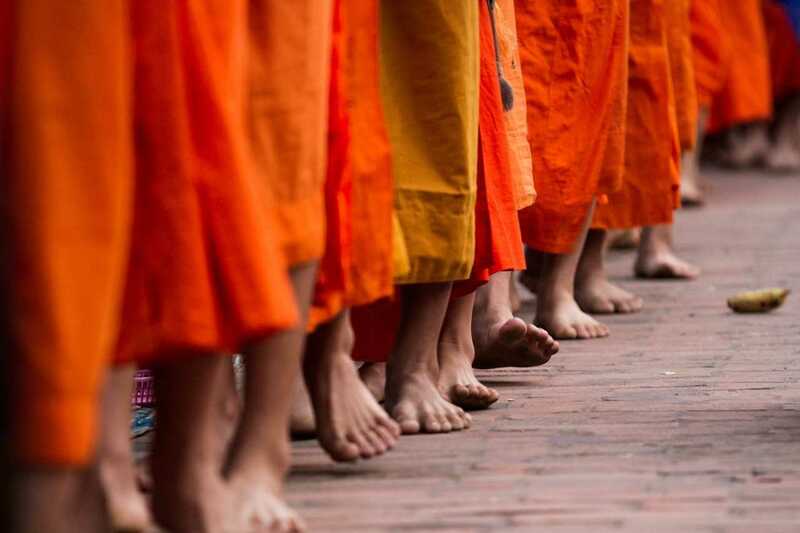 Read further to find out the itineraries for Luang Prabang. Luang Prabang would either be your first our your last destination based on whether you are traveling from the north or the south in Laos. Depending on the destination that you arrive, there are multiple ways to arrive at Luang Prabang. Flights: Luang Prabang has an international airport, and there are direct flights from most of the major cities in SE Asia to Luang Prabang like Kuala Lumpur, Bangkok, Phon Peh, Chiang Mai and others. Surprisingly, flying is the most expensive option to reach Luang Prabang may be due to the limited flights. Domestically, you can travel from the capital Vientiane to Luang Prabang by flights. Actually, the nearest and a convenient way to reach Luang Prabang is from anywhere in Thailand. So most backpackers opt for this route. Buses/Trains: You can reach from cities like Bangkok, Chiang Rai, Chiang Mai to Luang Prabang in many ways. There is no direct bus from Chiang Mai to Luang Prabang. You can take a bus from Huay Xai, which normally takes 12 to 15 hours depending on the bus stops and the conditions. It is not a comfortable option if traveling by public transport in these regions is new to you. There is only one Air Con bus in the afternoon, while there are two more regular buses every day. Similarly, you can travel from Bangkok to Luang Prabang by bus too, although the journey is at least 18 hours, but the cheapest too! Locally, there are regular buses between other towns in Laos including between Luang Prabang to Van Chieng and Luang Prabang to Vientiane and vice versa. So, if you are daring for an adventure that involves the reward of getting views of the awesome landscapes along the Mekong, you could opt for a boat ride from cities in Thailand. 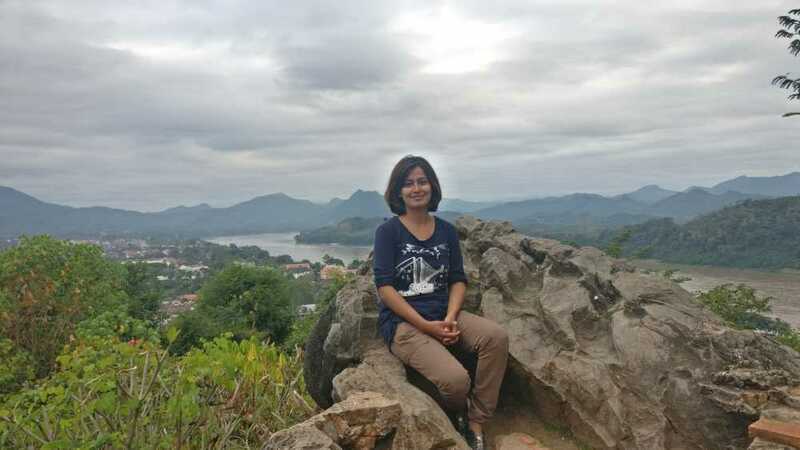 In the north of Thailand, you have to reach the border town Chiang Khong, and cross the Thailand-Lao friendship bridge to then getting your visa, before hopping on to the boats to Luang Prabang. 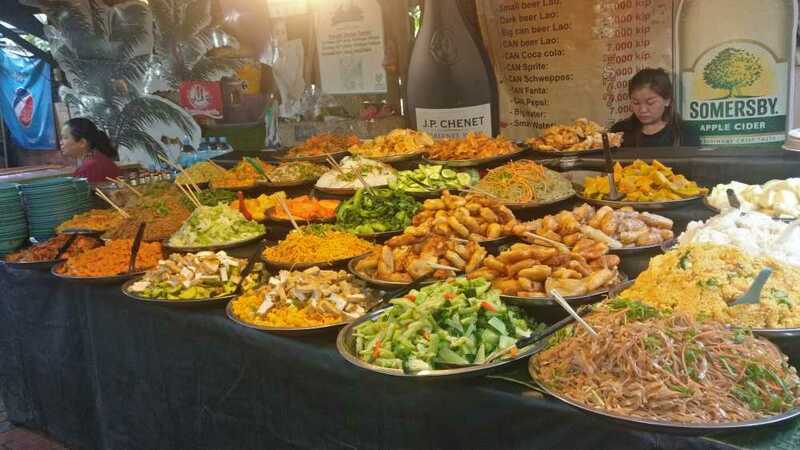 There are complete packages to do this option from Chiang Mai that even covers a day tour, provides overnight accommodation along with food in Chiang Khong before getting on board to the boats of your choice. 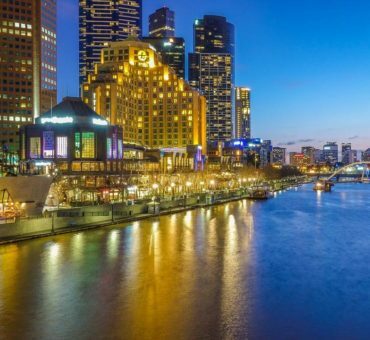 Depending on your budget, time and preference, you can either go for a slow boat which takes plenty of time to reach or a speedboat or a luxury cruise with better amenities. 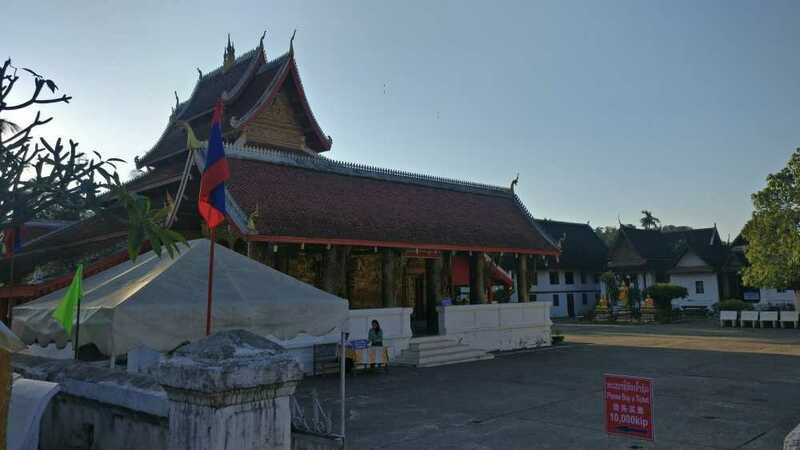 Weather in Luang Prabang: Luang Prabang weather is tropical, and in general, you can travel to Luang Prabang throughout the year since there are no extremities in the weather. The best time to visit Luang Prabang would be between October to February, which is the high season given the pleasant weather with cold nights and greenery. If you want the summer experience, you can visit between March and early June as well. Monsoon can turn heavy and sometimes cause road blockades due to landslides and floods. The best area to stay in Luang Prabang is in and around the old town. 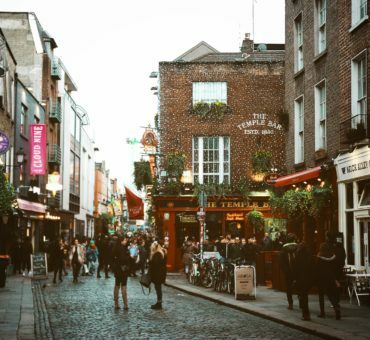 Most of the attractions within the town are nearby, and you have plenty of options for shopping and food! There are many kinds of hotels in Luang Prabang – from budget hostels to homestays to traditional guest houses to luxurious hotels sprinkled around the main town area and beyond. The hotels usually have the map of Luang Prabang, along with the other facilities like booking buses, visa, tours and more. I stayed very close to the town at Aham’s Backpacker’s Hostel, which was a really good place, with a great complimentary breakfast. I lost my credit and debit cards plus was with minimum cash during this trip when I lost my wallet. And the owner was kind enough to let me stay for free for 2 nights and also helped me in getting cash arranged. Ah! One of my many travel fails! I guess that makes for another story altogether. If you want to cover the attractions without rushing and want to enjoy Luang Prabang comfortably, I feel you should spend at least 4 days here. 3 days is still fine and anything below that would mean skipping a few things. Let’s see how to make the most of your time. If you have just 24 hours in Luang Prabang, you’ll have to kind of rise early to make the most of your time. You can begin your morning by witnessing the Alms ceremony around sunrise and then head to Wat Thong, Wat Mai and the Royal Palace premises after that. All of them are close by and hence it shouldn’t take too long. Before you leave the town, also climb Mount Phousi for a bird view. You can then head to Kuang Si after lunch and then take a slow boat ride for the sunset. You can end the day by exploring the night market, and end your day with dinner at the food street. If you have two days, maybe you can push a few things from day 1 as mentioned above to the next day. You can spend some time relaxing by any riverside cafe, ideally in the hot afternoon. You can spend one evening watching the sunset from a slow boat, and another sunset from Mount Phousi. Also, include either a trip to Pak Ou caves or any of the village tours if you want to do more. 3 to 4 days would give you enough time to explore almost all of Luang Prabang’s attractions. You can even go on a day trip to Nong Khiaw, a village with great scenic landscapes. You have nothing to do there, except relaxing. You can split your days to categorise attractions based on the distance, and start covering them beginning with the ones in the town. That’s all that you need to know to plan your trip to Luang Prabang. If you want to know more about one of its neighbour Vietnam, here are some posts to begin with.